As a SAM Learning subscriber, you can create your very own activities, specific to the needs of your classes, groups or individual learners. With a range of question types available, along with options to upload YouTube videos, audio clips and images to your activities, you can captivate your learners and consolidate what has been taught in class. Teachers publishing to Share are also eligible for our Amazon voucher reward scheme. One of the most common questions we receive from teachers is ‘can we upload all the resources we have created manually over the past weeks, months and years as we do not want to see this work go to waste?’. The answer is a huge ‘yes’. We encourage you to transfer as many of your own resources as possible. Content can be copied across and pasted into the appropriate screen type within Activity Builder. This includes transferring material from PowerPoint, Word documents and many other formats. Remember that activities can be automatically marked once you have created them, saving you valuable marking time and giving you access to a range of reporting tools. 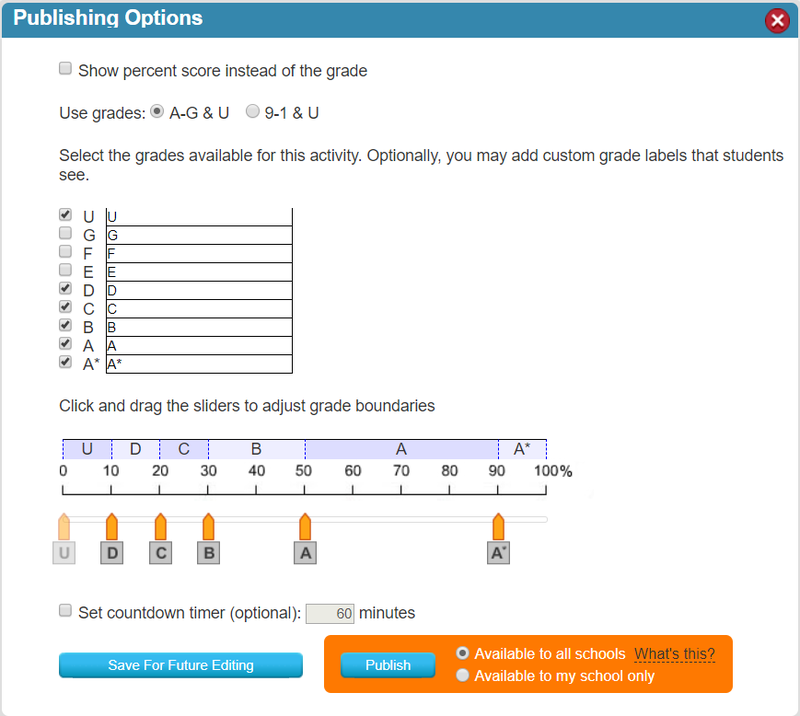 Before publishing your activity, you can also choose the grade boundaries, enabling you to adjust the difficulty as you target learners of different ability levels. 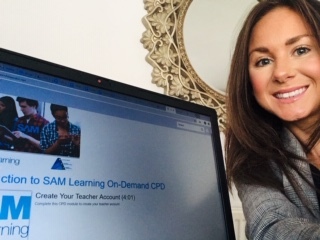 In addition to creating activities from scratch, many SAM Learning activities and all Share activities are available for editing, enabling you to personalise activities for the needs of your learners or differentiate the work for different ability levels. Personalised activities that have a minimum of three new screens added are eligible for Share rewards. Simply select the ‘Copy/Edit’ button within the activity and adapt it for your learners. 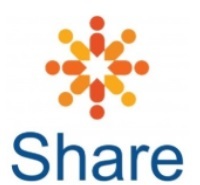 Please find below step-by-step instructions on how to create your very own activities and the rewards that are available for contributing activities to Share. How do I create and upload my own activity? To create your own activity using SAM Learning’s Activity Builder, you will need to be logged in to your SAM Learning teacher account. Upon logging in, click CREATE ACTIVITY in the middle of your screen from the SAM Learning home page. This will open the Activity Builder. Alternatively, at the bottom of every topic folder, there is a link to create a new activity. 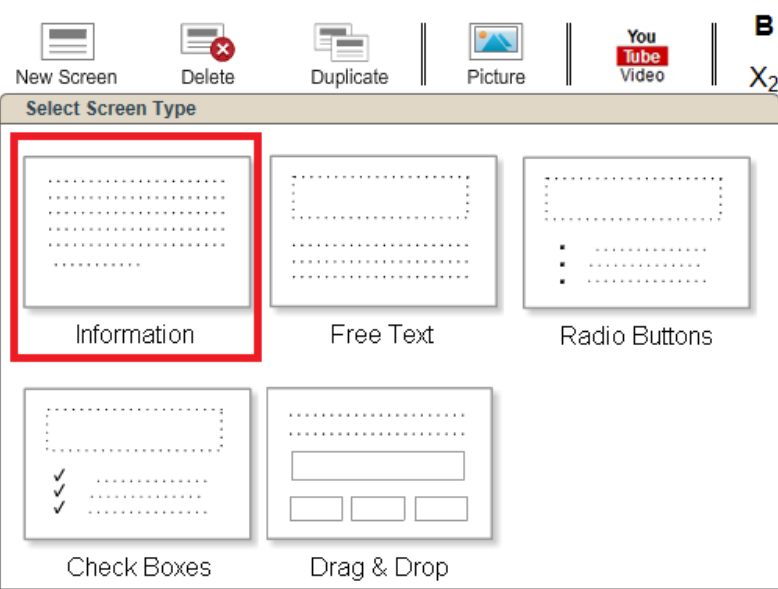 Information screens allows you to give introductory information to learners. Type your text into the screen. Write a question where learners can type their own answer; this question type requires a detailed mark scheme that will enable learners to self-mark. Enter your question into the screen. Add you marking criteria. If the learner must get every point to earn the marks, enter each criterion separately. If the learner must get a number of answers out of a list of possibilities, use the following phrasing: ‘Award yourself one mark for each of the following points that you mentioned, to a maximum of x marks.’ The marks available for each part of the answer can be adjusted as required. Write a multiple-choice question where there is only one correct answer. Enter the correct answer and a number of incorrect answers (distractors). Ensure that the correct answer is selected (i.e. has a black dot in the radio button next to it). This tells the computer which answer is correct. Use the controls at the bottom of the screen to adjust the number of marks available and decide whether the answer choices should be randomised (i.e. reshuffled) every time the screen is opened. Write a multiple-choice question where there are several correct answers. Enter the correct answers and a number of incorrect answers (distractors). Ensure that the correct answers are selected (i.e. have a tick in the check box next to them). This tells the computer which answers are correct. Use the controls at the bottom of the screen to adjust the number of marks available, to decide whether the marks should be awarded for the screen as a whole or for each individual right/wrong answer, and whether the answer choices should be randomised (i.e. reshuffled every time the screen is opened). There are many question types possible with drag & drop, such as a ‘fill in the blanks’ paragraph, labeling an image, matching keywords to definitions or matching dates to events. 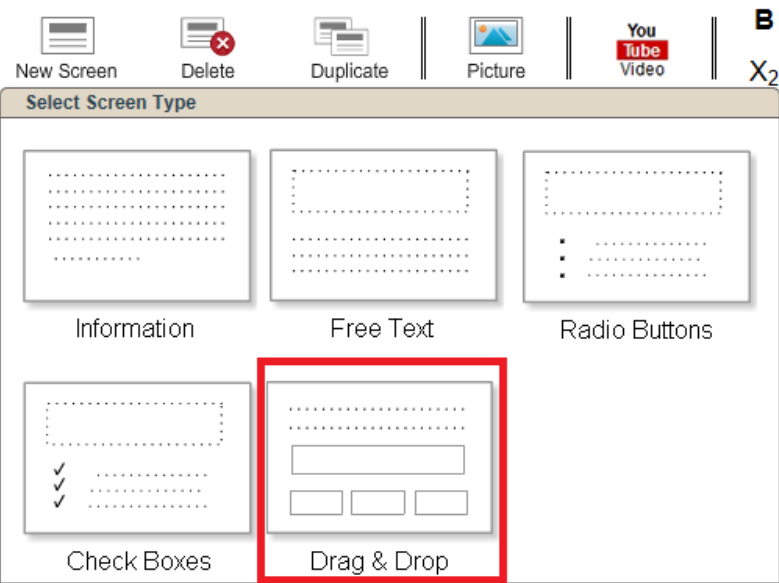 See the article ‘How do I use the Activity Builder (drag and drop)?’ to find out more. You may already have a bank of resources or worksheets that you have written and use for your teaching saved as PowerPoint or Word documents. This material can be copied and pasted across and added to the appropriate question screen in Activity Builder. This will enable you to turn your existing resources into activities that can be automatically marked, set to your learners as tasks and analysed using our reporting suite. Once you have set up all your question screens, it is easy to change the order. Simply use the preview panel on the left-hand side of the screen and drag your screens to their new position. Top tip: If you have numbered your questions, don’t forget to go back and change the number if you move the question to a new position! Deleting screens from your activity is easy. Just use the ‘delete’ button on the toolbar. A prompt box will ask you to confirm the deletion so you don’t lose any screens by mistake. 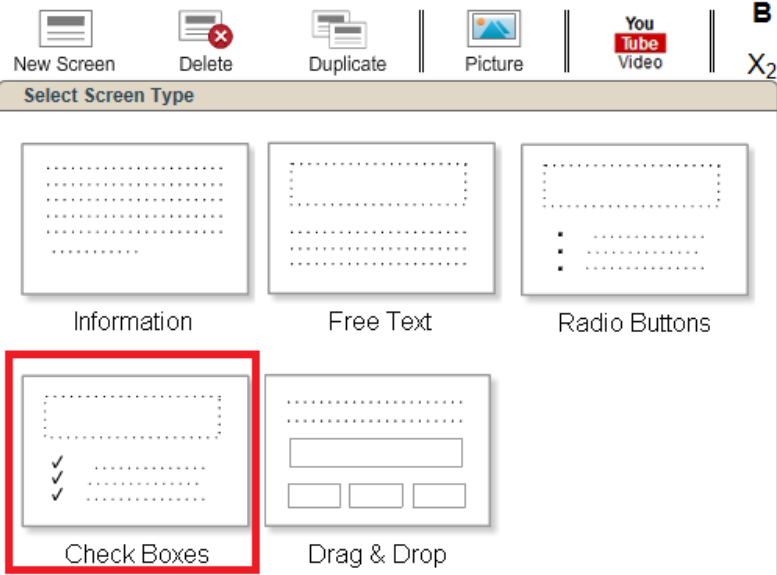 If you are creating several screens that have similar content or layout, there’s no need to remake them. Use the ‘duplicate’ button on the toolbar to create a new version of the screen you are working on. This duplicate can then be edited independently. Images can either be added on the right-hand side of the screen or within the body of the screen. You will need to save your activity before adding images. Click ‘Save’ on the toolbar. To add an image on the right-hand side, click outside the screen. Then choose ‘Picture’. Find the picture you want to add from your files. The image will be uploaded. 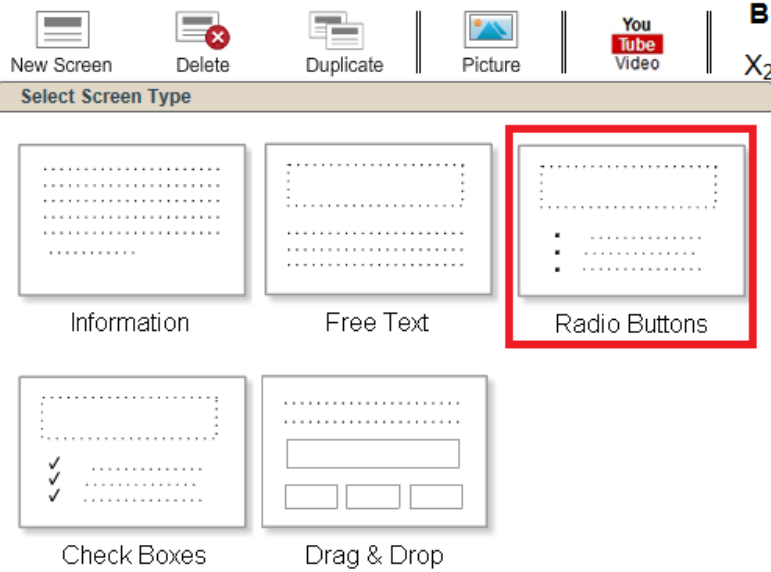 To add an image in the body of the screen, place your cursor where you want the image to be added. Then choose ‘Picture’ from the toolbar menu. Find the picture you want to add from your files. The image will be uploaded. You can change the size of this image in-screen by highlighting the image and using the drag squares. YouTube videos can be embedded within your activity so learners can watch the video and then continue to answer questions. First, choose your screen type. You may wish to place a video on an information screen at the front of an activity and then base all your questions around it, or simply add a video to a single question screen. Click the ‘YouTube video’ button on the toolbar. Paste in the web address of the YouTube video you would like to add. Click insert. The video will appear on your screen. Click on this icon at the top of your computer screen to add text features. Simply highlight the text you want to change and click the appropriate button. You can add bold, italic, underline or apply superscript or subscript text features. You can also change the font size using the up and down ‘T’ buttons on the menu. Special characters appear in their own mini menu. Click the ? button on the toolbar to access this menu. A wide range of special characters are available, including accents for languages, maths symbols and basic fractions. If you would like learners to look at another web page during the activity, you can hyperlink the web address so that learners can link straight to the correct page. First, choose your screen type. You may wish to place a hyperlink in an info screen at the front of an activity and then base all your questions around it, or simply add a hyperlink to a single question screen. Type the words or web address that you would like to hyperlink, e.g. Click here for some revision tips on this topic. Highlight the words or web address that you would like to hyperlink. Click the chain symbol on the toolbar menu. Paste in the web address of the web page you would like to add. Click insert. The words you highlighted will turn blue, indicating that the hyperlink has been successfully applied. A small hand should now appear when you hover over the linked words. If you click the link, it will take you to the correct web page. It is possible to add sound files to your activities. This is particularly useful for music or language activities. Be careful that you do not attach copyrighted audio to your activities – sound files from an exam board or songs that you have downloaded are almost certainly restricted by copyright. However, you can create your own sound files or source creative commons/public domain audio from the internet. Free sound-editing software is available from online tools such as Audacity. To add a sound file to a screen, click the ‘Upload Audio’ button on the toolbar menu. 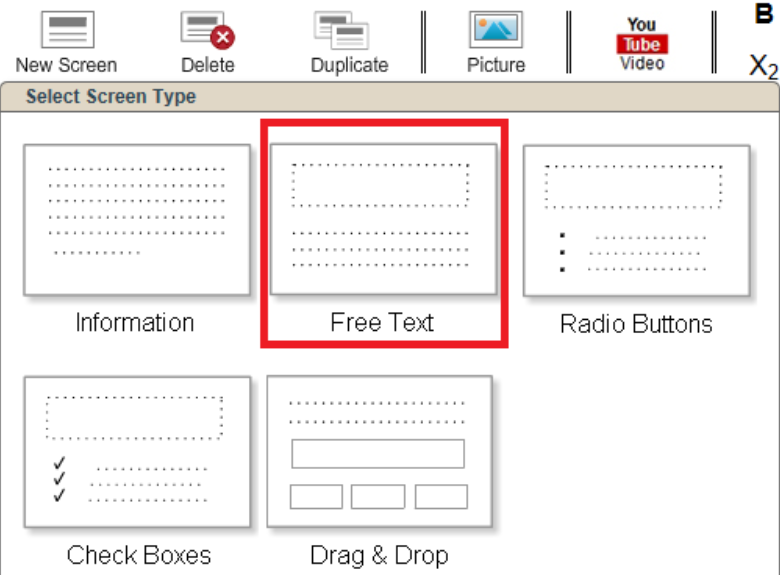 Find the audio file you want to add – it will need to be saved to a folder on your computer. The sound file will be uploaded. An audio symbol will be added to the screen indicating that there is a sound file attached. Once you have finished building your activity click on ‘Publish’. As part of the publishing options, you can choose whether to show a percentage score or a grade when the learner completes the activity. If you choose ‘grade’, you can then select which grade scale to use, tick which grades should be available for this specific activity and finally drag the grade icons to personalise your boundaries. If you chose to Publish your activities to all schools within SAM Learning, your activity will be added to the Share menu. A range of rewards and incentives are available to teachers for publishing activities to Share. Every teacher who publishes their first five activities will receive a £20 Amazon voucher. There are also specific incentives available each month for publishing activities in targeted topics. Follow this link to view the full list of rewards available this month. If you have questions about creating activities on SAM Learning or require further assistance, please contact our support team by emailing support@samlearning.com or view our Help Centre.